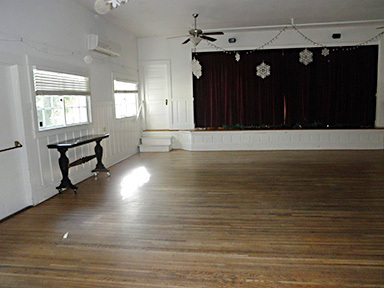 The Ojai Valley Woman's Club rents out its historic clubhouse (Ojai Historic Building #8) to groups or individuals for special events, parties and meetings. 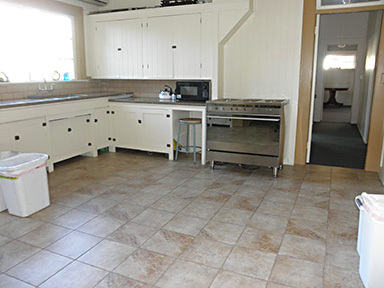 Located at 441 E. Ojai Avenue, in the heart of downtown, the 1911 Craftsman building features a large room with stage, charming foyer, kitchen and back room. 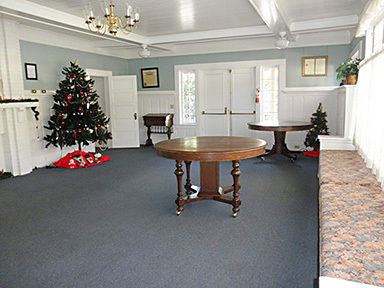 Clubhouse capacity is 300 people standing or 225 seated throughout the building. Private parking on-site. 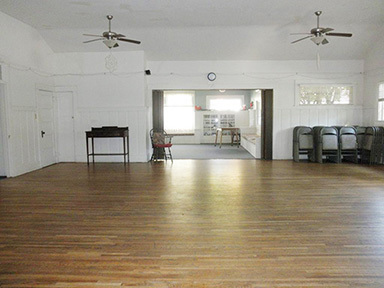 Rentals include the use of with 8, eight-foot long rectangular tables and 100 folding chairs. Additional 8 round tables available to rent for $50. No WiFi/Internet available. Renter is responsible for cleaning facility before rental period is over. Email the date/s you are interested in renting the Woman's Club to info@ojaichamber.org or call (805) 646-8126 if you have questions. $250.00 for events such as private parties, meetings, conferences, etc. $500.00 for weddings, events including admission charges to the general public and the sale of alcohol.